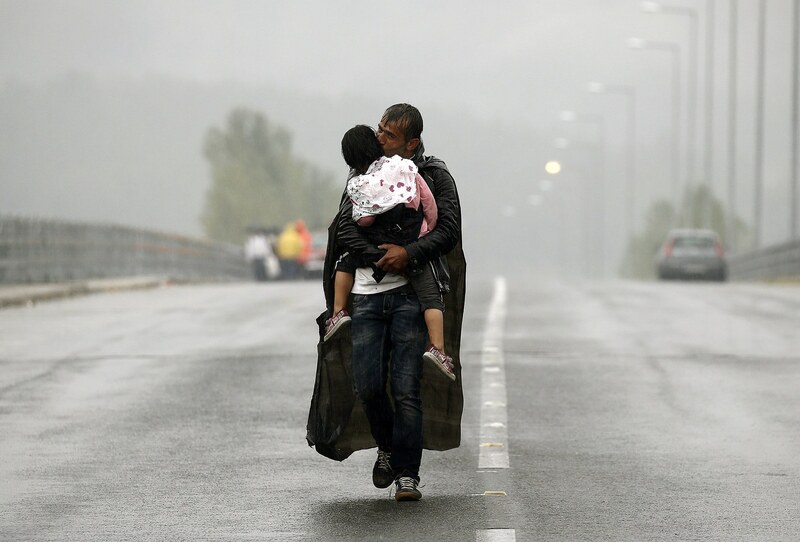 For The Children: Please Join Me In Supporting Syrian Refugees | B the Change. Today, I celebrate my first birthday as a grandmother. Our grandson, Hudson, was born earlier this summer and when I held him in my arms, I knew my life was changed forever. Life is so precious – a miracle! When I, along with millions of others, saw the image of little Alan Kurdi washed up on a beach in Turkey – I reacted as a grandmother. How could this possibly be true? How is it that in this world, innocent children and families are dying because we cannot respond to humanitarian crises, including establishing a system for political asylum and care for refugees even as we spend billions of dollars protecting ourselves from terrorism? First of all, don’t feel overwhelmed by crises like these – we can all help, whether in small or big ways. Believing we can make a difference is an important step – it changes our attitude into altitude. 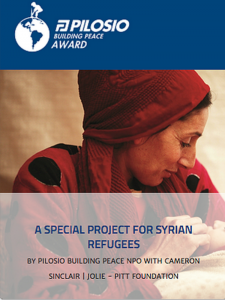 Write to your elected officials demanding attention and immediate action to send aid to Syrian refugees; regardless of where you live, you can easily go online, find your state, local and national representatives and contact them either directly or through any number of organizations who are advocating for funds and humanitarian troops. You pay taxes. Help guide your elected officials on where you want your taxes to go. Share, share, and share again. Whether at your church, synagogue, mosque or community center; whether on your social networks; whether you are at a dinner party or business lunch – let’s talk about this. It is now possible to amplify your voice – in fact you can start now, by sharing this with ten friends and asking them to share with ten friends. Donate. Here are a few organizations to consider. But there are many others and they are easier to find nowadays than ever. Enlist your business networks to help. Don’t be afraid to mix your business life with your philanthropic life. There are many individuals in the business world who are giving back and surprising us with their incredible acts of generosity. For example, Chobani’s founder Hamdi Ulukaya who has pledged most of his wealth, at least 700 million dollars, to help the Kurdish refugees as well as refugees from all around the world or Jonas Elgquist, the Swedish CEO who canceled a corporate vacation trip to Italy organized for the company’s employees to donate the money to the same cause. All of his employees joined their CEO to give up their hard-earned incentive trip to give back. Talk to your employers or staff to find out how you can be creative in doing similar things. We are doing the same at my company and will soon be announcing our global initiatives in support of the refugees around the world. Connect with journalists and media outlets covering the news on the ground via their social media channels to have access to factual news from the region and share from the source. One of the great sources I enjoy following is AJ+. Kudos to all the journalists risking their lives covering the news for us. Don’t just think globally – act globally. Early next month, my company GENBAND is sponsoring a business summit in Istanbul and are being supported by one of our partners headquartered in Turkey. While we will be very busy interacting around an important global technology and Internet initiative – we look forward to talking local experts on the refugee challenge to better understand the situation and engage the global business leaders from nearly every continent who will be with us. These executives are influential and we look forward to their supporting ways to help solve the challenges, including with public and private partnerships – and this will scale. Finally – take some time to educate yourself. The United Nations website is a good place to start. They recently published a report on the size of the refugee global diaspora. Know the facts, share the facts. Encourage your local school teachers to share with children, so we raise a generation of thoughtful leaders who are compassionate without boundaries. Avoid politics, focus on policy. 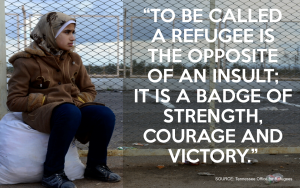 Another reason I am so passionate about helping the Syrian refugees is that I am a refugee from Iran. My family left Iran due to the social conditions at that time, as well as nightly bombings of Tehran where we lived during the Iran-Iraq war. Together with my mother in August of 1986, one month shy of my 13th birthday, we sought refuge in Germany. We were fortunate in that my mother had contacts at the Embassy, which issued us tourist visas. We had to leave my father, brothers and grandmother behind. We didn’t think it would be our last time in our mother country, but after 10 days of staying at a relative’s home in Frankfurt, we were advised to go to a different city to seek political asylum as the situation in Iran deteriorated. Packed up and left by train to Köln, spent the night in a one-room apt with four other families also seeking refugee status, and the next morning went to the police station with all of our suitcases and belongings to ask for asylum status. We were rejected and told to go back to Frankfurt. I was so scared that I started to cry and others in our group followed, as we were all scared and worried about what would become of us. We finally arrived at the Cologne Police Station about 10 minutes before closing time. Thanks to my mother who was semi-fluent in German, the officer agreed to accept our applications if my mother translated for the entire group. I will never forget his kindness. 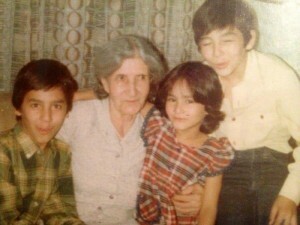 1982 – Tehran – With my grandmother & brothers at my 9th birthday party. From there our journey began as refugees, living in a one-room, two-star hotel, used as refugee housing, for a year and a half. My oldest brother joined us after two months, and my dad arrived in time to help us move to the apartment we had found outside of the city, leaving behind his very ill mother and my younger brother who was still serving in the military, while taking care of my grandmother. My grandmother passed away three years later, with just my brother by her side – the woman whom I adored and had raised us all. Meanwhile, we had applied for our green card through family in the U.S. and were approved, so our journey to America began in February 1989 where my parents at the ages of 45 and 50 had to start over, once again to support us for a better life and future. All of these experiences were totally foreign to us, having lived a comfortable middle class lifestyle back home and not having any guidance or information to start lives here in our new home. This is why I love what my friend Bita Daryabari is doing today through her foundation Pars Equality Center in support of Iranian refugees in the U.S. I wished my family had access to such services in 1989. 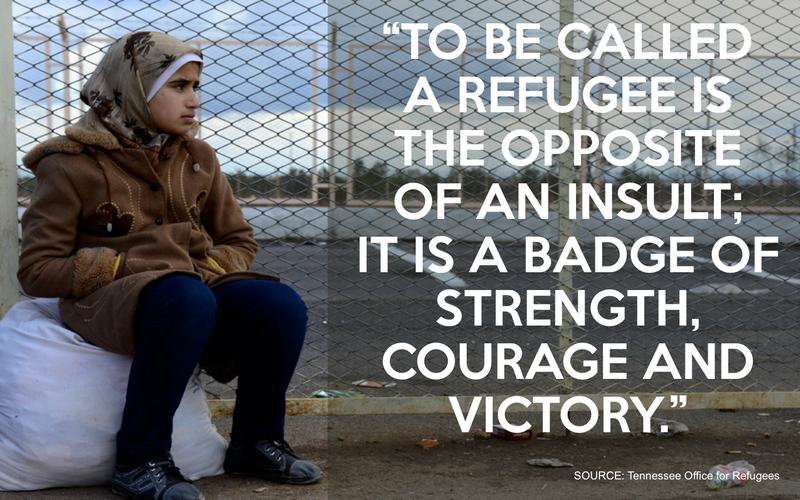 But today – my personal refugee experience seems luxurious compared to what the Syrian refugees are going through. For my birthday this year, I am so humbly grateful and blessed, now a grandmother thinking even further ahead than I have before. For my birthday, my gifts are my family and friends, and my gratitude of knowing that today we have the tools – the networks – the circles of colleagues – and the ability to organize quickly and continue steadily onward and upward. One year from now, I hope you will join me in looking back and reflecting on the positive difference we are making together – so Hudson’s world twenty years from now will have found refuge – for all.